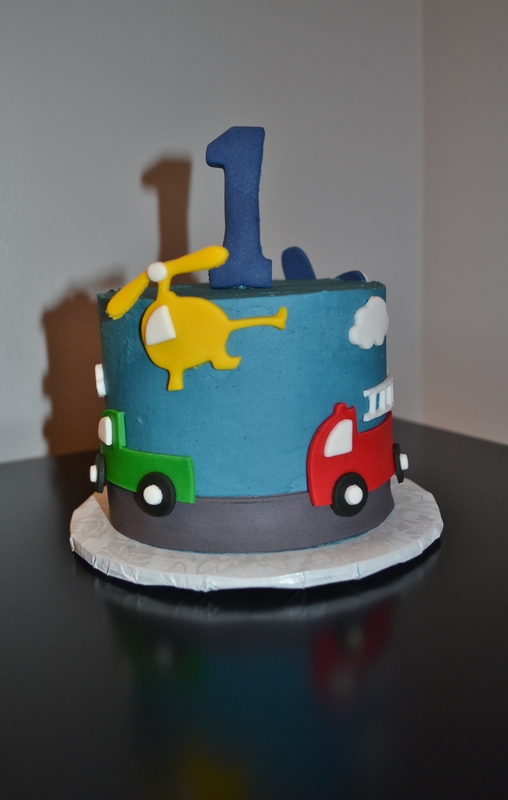 My client for this cake wanted a transportation themed cake for her Godson’s 1st birthday. 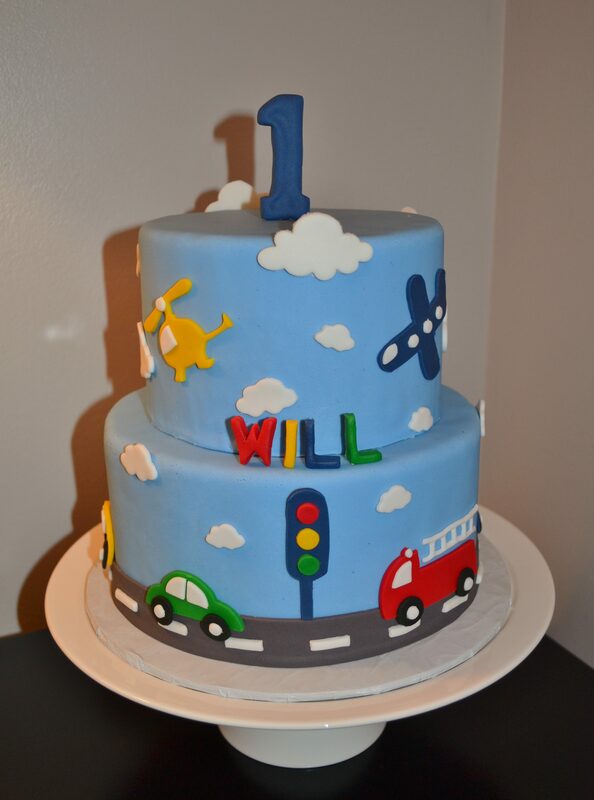 The main cake is covered in blue fondant with a firetruck right on the front (a must for the birthday boy!). The smash cake, as always, is smooth buttercream without the fondant. 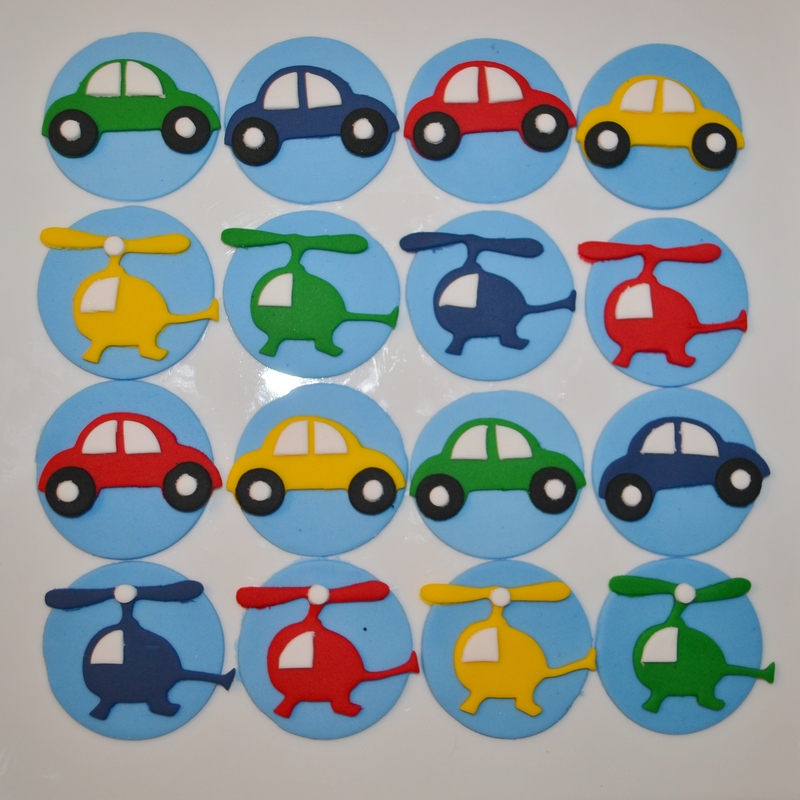 She also requested 24 cupcake toppers to complement the cake, but she did provide the cupcakes herself.